The Fijian Government, through the Ministry of Defence, is proposing the adoption of a new search and rescue concept that will be established as the Rescue Co-ordination Centre (RCC). Senior Ministry of Defence official Joji Wasigitoni said it was an obligation of the Government to save lives and the establishment of the centre was one way the Government, through the ministry, could ensure this. The ministry yesterday conducted a search and rescue mock exercise at the Suva foreshore involving teams from the Navy, Police, National Fire Authority, Ports Authority officials and Airports Fiji Limited. The exercise will enable the ministry to identify challenges that need to be addressed in the Fiji Search and Rescue manual that is to be finalised soon. The manual will be the guiding document to the three classes – land, maritime and aeronautical search and rescue. “The RCC will determine which lead agencies to respond so in our manual the Fiji Police Force looks after the coastal areas, the Navy looks after areas 12 nautical miles and beyond territorial waters. 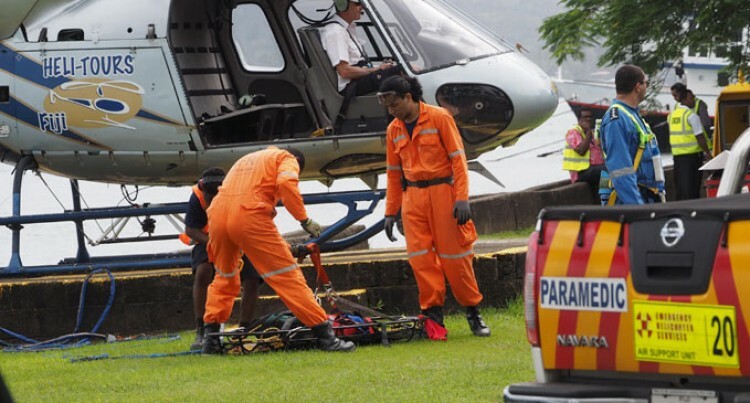 It will co-ordinate search and rescue response to any incidents – whether it be land, maritime or aeronautical or aviation related distress,” Mr Wasigitoni said. He said there were currently not enough resources to conduct these operations, but the mock exercise would enable the ministry to gauge the current and future capabilities of the various agencies that would be part of the RCC. Mr Wasigitoni confirmed they would soon conduct awareness programmes to empower village headmen, given Fiji’s vast maritime boundaries and scattered islands – especially during a land, maritime or aeronautical distress and because it was time consuming to deploy resources from Suva. He said in these situations the initial responses could be by village headmen. “We have discussed this with the Ministry of Health because there are nursing stations in the islands. Staff at the nursing stations can accompany village headmen to assess the situation and report back to the Fiji RCC. The ministry hopes to focus on mass rescue operations in their next phase.